As an Islamic city, Marrakech is one of the cities in the world that offer many Halal friendly hotels and Halal food options to Muslim travellers. Most restaurants in Marrakech are alcohol-free and serve Halal meals. Are you travelling to Marrakech, the City of Rose, soon? 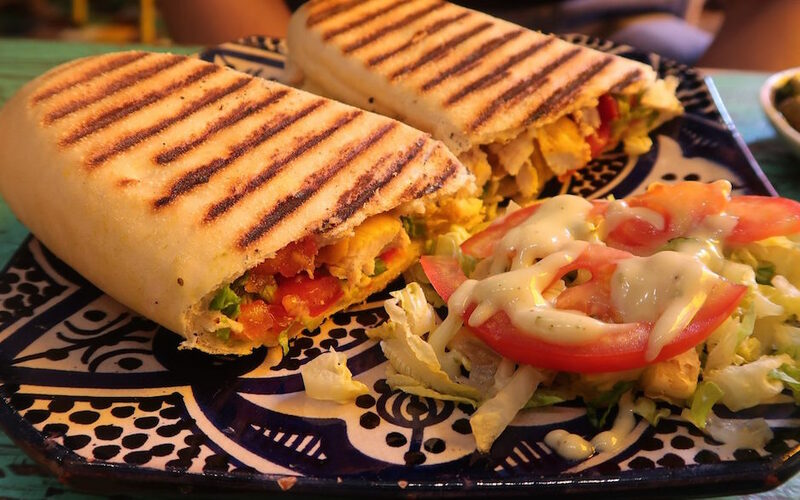 Check out these top 10 Halal restaurants in Marrakech that you must try! 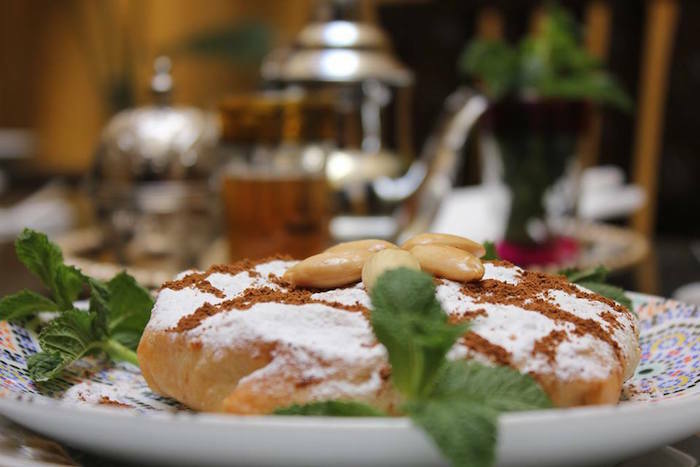 Best 10 Halal restaurants in Marrakech that Muslim travellers should dine in! There are so many things for you to explore when you are having a Halal holiday in the beautiful city of Marrakech. Plus, finding Halal food is very easy in this city. Whenever you get hungry, stop by at one of these top 10 Halal restaurants in Marrakech. They serve tasty food, give excellent service, and provide a nice ambiance. While you are in Marrakech, might as well you try the delicious Moroccan meals. Where is the best place to get a truly authentic taste of Moroccan food? At Amal Restaurant! The unique thing about Amal Restaurant is that it is a philanthropic restaurant that provides work opportunities to disadvantaged women. Here, you can try their delicious Moroccan food, cooked by the local ladies. One of their signature dishes is chicken tagine – cooked over charcoal and they taste great! Plus, you can also join their cooking class or learn a thing or two about Moroccan cultures such as the tea pouring tradition. After a busy day exploring the city of Marrakech, we suggest you stop by at Restaurant Naima to enjoy a unique experience. It is a small and cozy restaurant that will make you feel right at home. There is no menu for you to look and choose. After sitting at your table, you will be right away served with their special dishes – chicken couscous and salad. Many previous guests have attested that it is the best couscous they have ever tasted! Located inside a lovely riad (Moroccan traditional house with an inner courtyard), Dar Chef is one of the top Halal restaurants in Marrakech that does not only provide scrumptious meals but also a fantastic ambiance. The restaurant specializes in local cuisines. When you choose to dine here, don’t miss trying their famous tajines, couscous, and Moroccan bread. 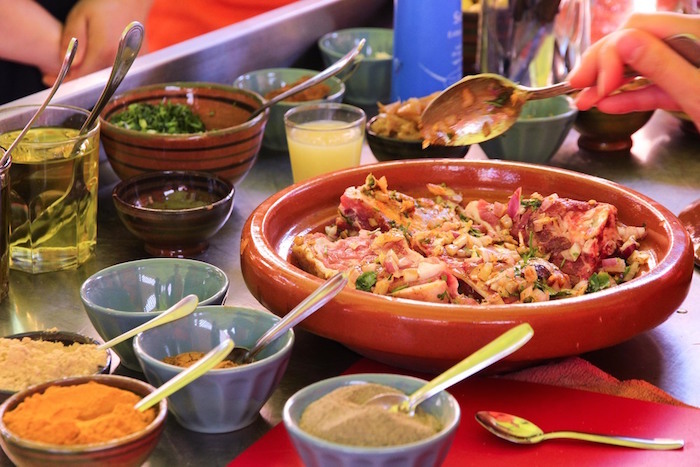 If you’d like to learn about traditional Moroccan meals, you can also sign up for their classes. Eveil Des Sens Restaurant is also one of the top Halal restaurants in Marrakech that you can try if you feel like having a French cuisine while in Morocco! The signature dishes at this alcohol-free restaurant include pastilla, orange creme brûlée, and of course, chicken tajine with lemon. The portion of the meals here are quite big and the price is very affordable – ideal for Muslim backpackers. 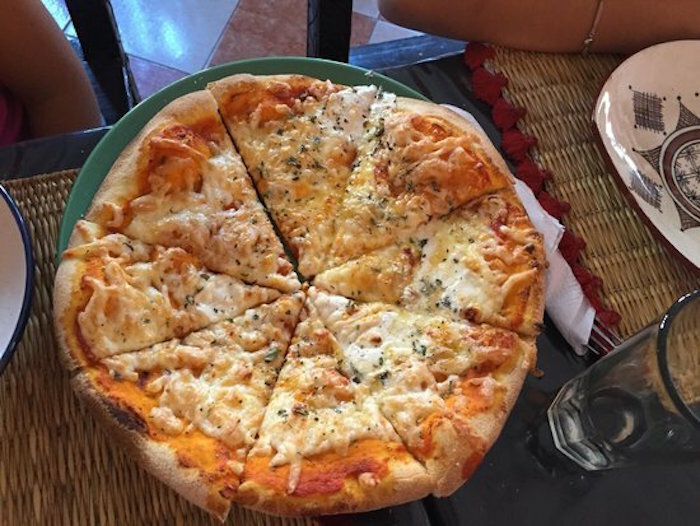 One of the best ways to taste an authentic traditional cuisine is by going to a restaurant that is frequented by the locals. In Marrakech, Restaurant El Bahja is where the locals love to go for their kebab and tagines. Since it is located near to popular places in Marrakech such as Jamaa El Fnaa, you can easily drop by to order their chicken kebab or vegetable couscous after busy sightseeing the city. You will not be disappointed by its large portion, excellent taste, and cheap price! When you are having a Halal vacation in Marrakech, you should try eating at Mechoui Alley. They serve the best lamb sandwich in the city! Even though they are just a small food restaurant, they are popular amongst the locals and tourists. 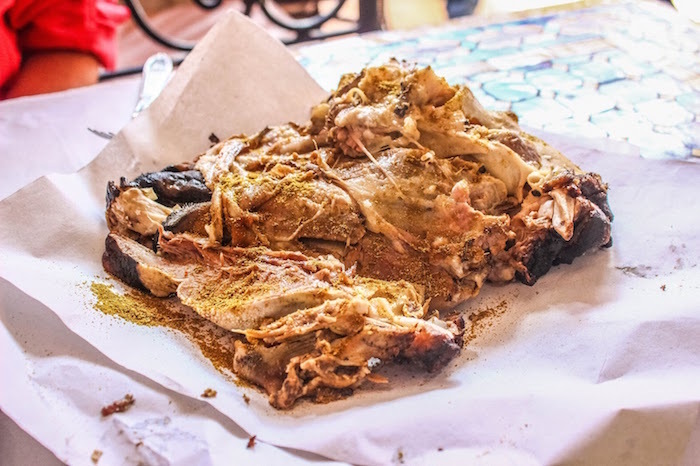 Mechoui Alley serves delectable slow-roast lamb meat and it comes with two big bread. They are superb and will make you want to order for another. If you’d like to try their famous lamb, make sure you come early as they might run out by afternoon! Chez Lamine Hadj Mustapha is also one of the top Halal restaurants in Marrakech that serve excellent lamb meals in the city! It is located near the main square and is also a favourite spot for the locals. If you decide to dine here, make sure you order their famous dishes such as lamb tagine, chicken pastilla, and spiced eggplant purée. They give you a true taste of Morocco! Are you up for some fine dining experience and perhaps, belly dancing performance? Azar Restaurant in Marrakech will provide you with just that! Many guests have commented about the lively atmosphere at this restaurant. Here, you can enjoy their delicious Lebanese cuisines while listening to the music and watching belly dancing performance. Some of their signature dishes include baba ganoush, lamb shawarma, and chicken wings. Chez Yassine is another best Halal restaurant in Marrakech that you should try. This alcohol-free restaurant serves tasty Italian cuisines. It is located in a great location, quite near to the medina of Jemaa El Fnaa. When you are here, make sure you order their beef steak with mushrooms, spaghetti bolognese, and pizza. If you are feeling adventurous, try their rabbit tagine – they taste fantastic! During your trip to Morocco, why don’t you try something unique and memorable – eating on a rooftop while watching the sunset? You can do that at BlackChich Cafe Restaurant. The ambiance at this restaurant is simply amazing. Plus, their food is also delicious and very cheap. When dining at BlackChich Cafe, you should order their famous meals such as Bastilla, falafel, and beef tagine. Enjoy good food and great service at the top 10 Halal restaurants in Marrakech above! As you can see, you do not have to worry about going hungry while having a Muslim-friendly holiday in Marrakech, Morocco! 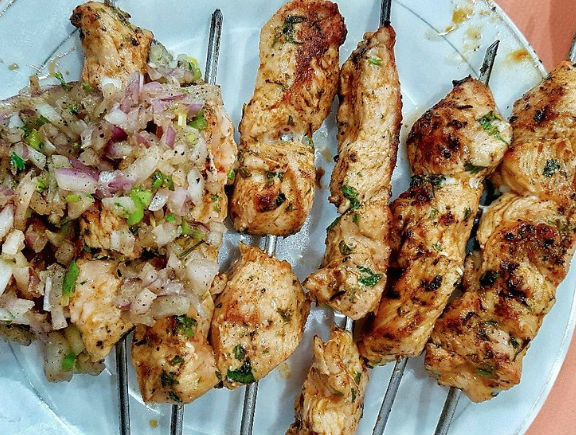 There is an abundance of Halal restaurants in the city that you can try.